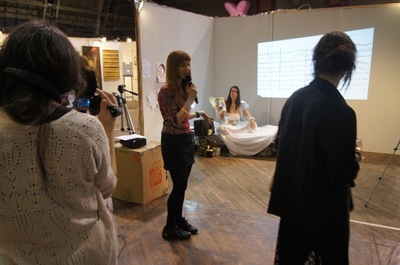 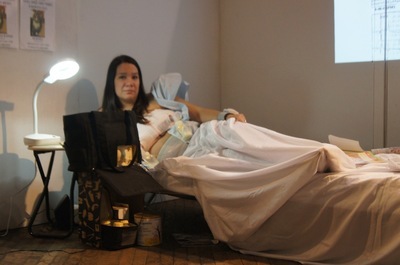 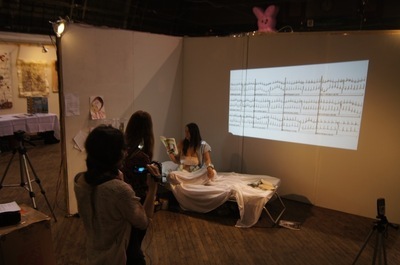 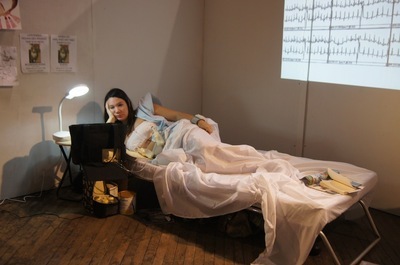 Held at Fountain Art Fair NY in March of 2012, Kotak re-enacted her actual real life experience with Postpartum Depression that peaked about 3 months after giving birth to Ajax. 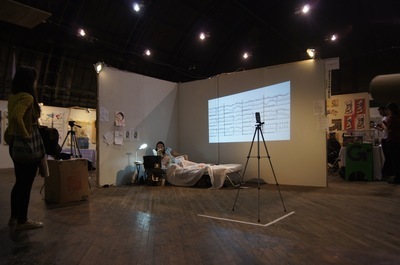 During this 6 hour durational performance, Kotak was lying on a bed in a barren space surrounded by medical imagery and other memorabilia from the original episode. 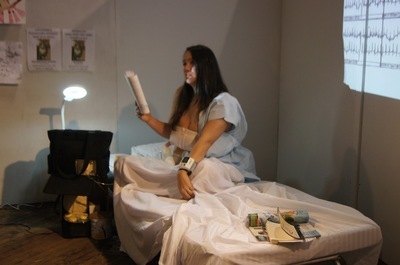 Sullen, she pumped breast milk from both breasts from a handsfree bra, while wanting to actually be with Ajax and nurse him, and read and journaled about how she could change her life so that she would feel happier.